This week, the group attracted a full house of 2,000 attendees to the Santa Clara Convention Center in Silicon Valley for its fourth Open Compute Summit. Facebook currently stores about 240 billion unique photos and is adding 350 million new photos added per day - this means 7PB of new storage is consumed by Facebook photos per month. This is accelerating with the adoption of smartphones. Keeping all of the photos online all of the itme is a Big Data challenge requiring changes to the data center, the servers and the software. 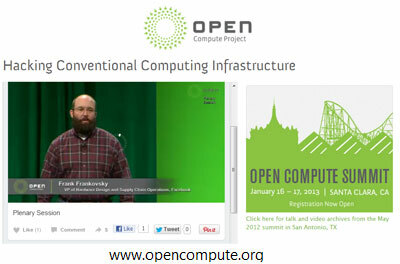 Rackspace will design and build its own infrastructure using OCP designs as a starting point. Riot Games will purchase systems based on the OCP design. Avnet, Delta, Emerson, and Sanmina introduced products for the Open Rack design. Intel is working on silicon photonics for Open Rack and is contributing designs that enable 100 Gbps interconnects. Fusion-io is contributing some design work on its new 3.2TB ioScale flash card to OCP. Facebook has developed a new common slot architecture specification for motherboards that it calls “Group Hug”. The idea to create boards that are completely CPU silicon vendor-neutral and will last through multiple processor generations. The specification uses a simple PCIe x8 connector to link the SOCs to the board. AMD, Applied Micro, Calxeda, and Intel and supporting the Group Hug board idea. Compute Nodes -- each compute node would use 2 processors, 8 or 16 DIMM slots, no hard drive but instead a small flash boot partition, and a big NIC or 10 Gbps or more. Moore's Law means that Facebook would expect to depreciate these modules over a 2-year period rather than the typical 3-year replacement cycle. Flash Sled - a rack tray on rails offering 500GB to 7TB of flash. The cost should be $500-$700 excluding the cost of the flash. Facebook would like to keep longer and depreciate over the read/write lifetime of flash - perhaps 4-6 years. The disaggregated rack will be helpful for Facebook's newly announced Graph Search service because the optimum ratio of RAM/Flash is changing quickly as price declines. Pacnet plans to upgrade its EAC-C2C submarine cable system in Asia using 100G and integrated Optical Transport Network (OTN) switching technology. The upgrades are scheduled to begin in early 2013. A vendor has not been publicly announced. EAC-C2C spans 36,800 km with cable landing stations throughout Asia including Hong Kong, Singapore, Japan, Taiwan, Korea, the Philippines and China. “With the rapid intra-Asia digital content growth continuing to fuel soaring bandwidth demands in the region, this latest initiative is a significant step in strengthening our network services to handle the continued growth of Internet traffic,” said Andy Lumsden, Chief Technology Officer of Pacnet. 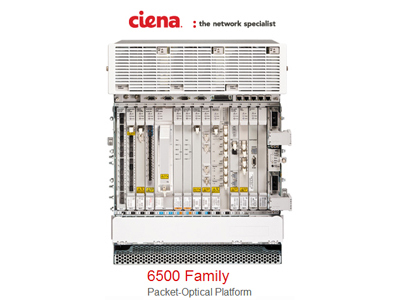 Comcast Cable has selected Ciena’s 6500 Packet-Optical Platform equipped with third generation WaveLogic coherent optical line interfaces for use in its core network. Ciena is also providing Comcast with network management system capabilities and a range of professional services via its Ciena Specialist Services portfolio, including furnishing and installation. Ciena and Comcast have a long-standing relationship. Ciena noted that Comcast has been deploying Ciena’s coherent 40G and 100G technologies across its national fiber network since 2009. More recently, Comcast deployed Ciena’s packet networking solutions to support its Metro Ethernet services offering. In addition, Comcast Business Class, a division of Comcast Cable, is a Managed Service Provider partner in Ciena’s BizConnect partner program. AT&T is considering possible European acquisitions as a strategic expansion path, according to The Wall Street Journal. Possible targets could include carriers such as Everything Everywhere (EE in the UK) or KPN (Netherlands), although the article describes the company's thinking as preliminary at this point. Telx, which operates 19 data centers across the U.S., has begun offering Amazon Web Services (AWS) Direct Connect with its own Datacenter Connect for Telx clients across the United States. The new option enables Telx clients to use private interconnection to reach an expanded roster of AWS facilities spanning coast to coast. "Extending Telx’s service offerings with AWS enables clients to design their applications to achieve faster end-user response times, greater security and availability, and better protection from potential regional failures. Today’s enterprises face an array of complex application and architectural requirements. 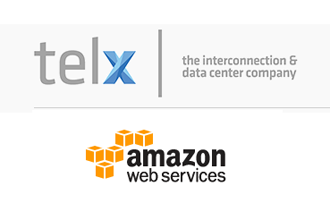 Telx’s continued investments in state-of-the-art facilities and ever-increasing ability to provide a rich variety of interconnection solutions between facilities and to AWS continues to increase the value of the Telx ecosystem,” said Joe Weinman, senior vice president of cloud services and strategy for Telx. Orange has launched a new subsidiary called Orange Horizons that aims to seek out new business opportunities in countries where the Group is not already present as a mass-market telecommunications provider. The idea is to leverage the Orange brand in areas outside its geographic network footprint. Possible market activities could include online stores selling telecoms-related equipment or airtime; the introduction of flexible travel solutions; or the launch of a virtual mobile operator (MVNO) activity. Orange Horizons has already begun operations in South Africa where it is developing e-commerce and online content services. 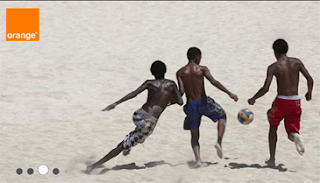 Orange plans to launch business ventures in several other countries in 2013 in Europe and Africa, and will also look at opportunities in South America in order to leverage existing content-related assets. Cisco released new software that extends the Cisco Jabber unified communications application to virtualized desktops. 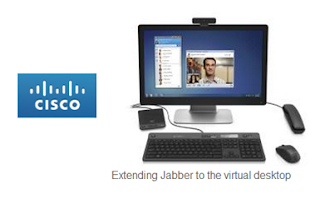 The new Virtualization Experience Media Engine (VXME) software enables virtual desktop users to access Jabber's enterprise-class collaboration capabilities such as voice and high-definition (HD) video, presence and instant messaging (IM) as part of the Cisco Virtualization Experience Infrastructure (VXI) Smart Solution. With the Cisco VXI end-to-end solution for desktop virtualization, virtual desktops, applications and collaboration services are centrally hosted on the Cisco Unified Data Center and delivered across a Cisco network to a broad array of user devices for a superior virtual workspace experience. Cisco said the new software will be available initially on thin clients, followed by support for third-party devices, starting with Dell Wyse thin clients, and then Windows-based thin clients and Windows PCs. Nokia will cut its global IT organization by up to 300 employees and transfer certain activities and up to 820 employees to HCL Technologies and TATA Consultancy Services. Most of the affected employees are based in Finland. The company said the changes are part of its ongoing restructuring. 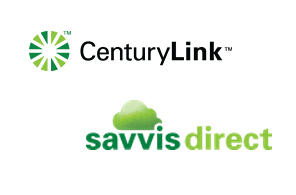 CenturyLink is building a new Technology Center of Excellence at this home base in Monroe, Louisiana. The facility will include technology research and development labs, a network operations center and office and meeting space. The company plans to invite vendors in to collaborate on network technology and IT skill projects in the new building. CenturyLink hopes to break ground on the center in early 2013. It is expected to be completed by the end of 2014, and should be operational in early 2015.